October's box was designed by our wonderful in-house team. Going for a more classic and sophisticated approach - the 'contemporary breton' box was a hit! Below are the best shot photos of last month’s box – if you made the cut, congratulations! Simply hashtag #papergang in your photos next month and you could be in the chance to win a £20 voucher to spend over at Ohh Deer! "Ooof. My @thepapergang december box arrived and ooof. It is beautiful 😍😍😍. 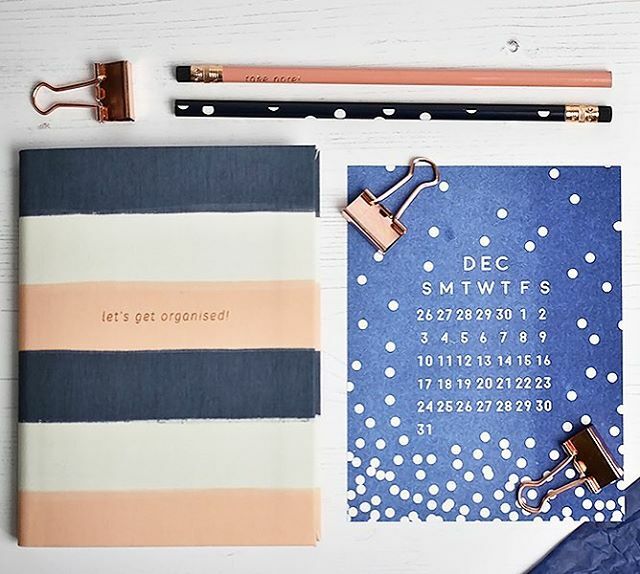 Omgosh I am dying over these rose gold binder clips. And the cards and this adorable freaking LINEN PLANNER 😍😍😍😍😍🤤🤤 I am drooling with lust over this planner." Thanks @quietbiblio! A lovely clean and bright photo by @lucieevans_! @theredheadblogs states "Papergangs October box has arrived 🤓loving this months colours! It actually has changed my mind on rose gold accessories for my new desk ... looks like I'm going shopping again now 😂 thanks guys! This image has pom-poms in it so we're pretty much sold tbh. Cheers @lizzieftillustration! On @itslindyc's blog she states "This is my third box so far and I’m always so excited to receive my next one. Plus for every 4 boxes sold, Papergang plant 1 tree in Africa with Tree Aid. This not only helps the environment but also the people. Allowing them to grow fruit and nuts to eat and also sell, funding health care and education for their children." Thank you for doing your bit to help small communities Linda! A super solid flat-lay by @ioannamills! "How pretty is this months papergang box? 😍🌿" Just as pretty as your picture @linseynic! Thanks!